WOW! BEST PRICE FOR A ONE STORY POOL HOME IN TIMACUAN IN OVER 2 YEARS! Single story home with one bonus/bed upstairs. 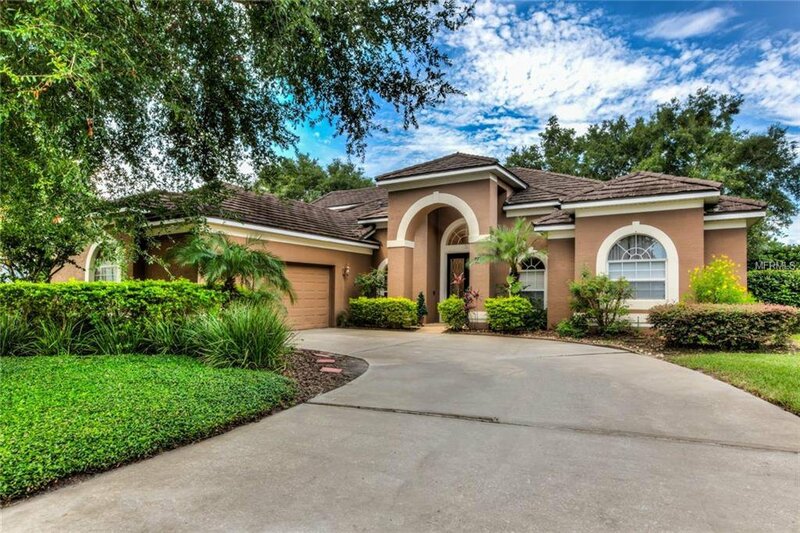 This exceptionally priced 4 bedroom + office, 3.5 bathroom pool home is just what you've been looking for. Tastefully updated, this home boasts wood floors in the formal living, formal dining, family room, and all bedrooms plus the office. Ideal CUL-DE-SAC location. The kitchen enjoys modern features including light cabinets, triple bevel granite counters and stainless steel appliances. Volume ceilings throughout make this home feel larger than it's 2884 square feet. The split plan lay-out is perfect for families and in-laws alike. The sparkling pool awaits just past the over-sized covered lanai and lots of privacy landscaping wraps around the yard. Recent metal roof installed in 2007, pool resurfaced with new enclosure in 2010. The garage is over-sized. Timacuan is one of Lake Mary's most approachable communities and conveniently located near Lake Mary's own splash water park, tennis courts, the best public and private schools, biking/hiking paths, Wekiva State Park, and all major roadways leading to the Attractions and the Beaches. This community also enjoys a shopping plaza right at its entrance featuring Publix, lunch and dinner restaurants. Timacuan has it all! Listing courtesy of REGAL R.E. PROFESSIONALS LLC. Selling Office: REGAL R.E. PROFESSIONALS LLC.